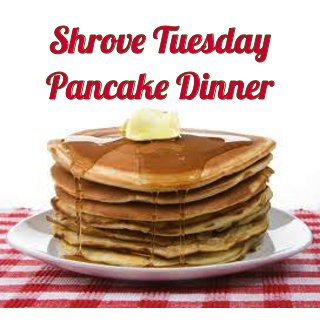 Join us as we kick off Lent Pender-style with our annual pancake dinner and races! Enjoy a time of fellowship, dinner and the ever-laughable races on February 28th at 6pm in the Fellowship Hall. If you would like to help with this event, please meet in the kitchen at 4pm or contact Merri Carnahan. Come to the Trunk or Treat Event organized by our Pender Youth starting at 4:45 pm. Then drop your kids (potty-trained pre-schoolers through 4th grade) with the Children’s Council Volunteers at 5:15 for an evening of fun! We will have a pizza dinner, crafts, play time and movies. RSVP: Please sign up using this link. Registration will close on October 25th. Tags: Capital Campaign, dinner, Fundraiser, Fundraising, Jason's Deli, Let's Eat Together! All funds raised will be paid directly to Pender United Methodist Church for Funds will be used for our Building in Faith Capital Campaign. The deadline to place orders is March 14th. We won’t have the shirts in hand until the 30th though, so will miss having them for our Jason’s deli fundraiser. We need a minimum of 17 shirts for the order to happen. We offered two colors and two styles (a unisex that goes from youth through adult and a ladies cut). We chose these colors based on recommended colors from the t-shirt designer, since colors we had originally selected would not have highlighted our logo as well once they were printed. And limiting it to two will allow us to better stand out as a group at these events. Jason’s Deli – 12955 Fair Lakes Shopping Center – Wednesday, March 2nd from 5pm-9pm. Don’t feel like cooking? Let’s eat out together and show others what a GREAT church family we have here at Pender! Stay tuned for even more exciting opportunities with other restaurants and events. Join us on Thursday nights at 6pm during the Lenten season for dinner and fellowship. It is a perfect opportunity to meet new people and to deepen your understanding of Lent. Following dinner, Pastor Dan will be leading a discussion on Christ as Easter approaches. We ask for a donation each week to cover the cost of our meals. Please RSVP to Claire Sax by clicking here or by signing up at the Sign-Up Center in the church lobby.